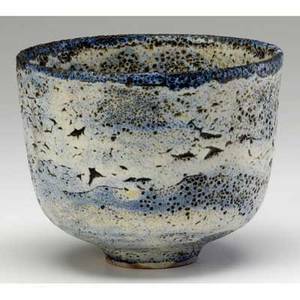 Natzler small ceramic bowl covered in blue and grey hare"s fur glaze with melt fissures. signed natzler. 1 3/4" x 4 1/8" dia. 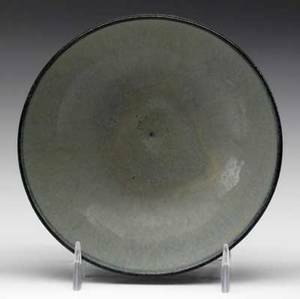 Archived auctions similar to Natzler small ceramic bowl covered in blue and grey hare"s fur glaze with melt fissures. signed natzler. 1 3/4" x 4 1/8" dia. 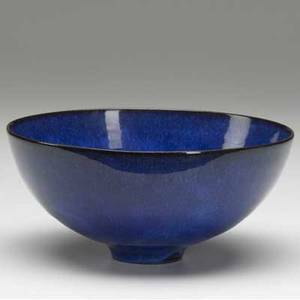 Natzler fine ceramic bowl covered in lapis blue glaze. signed natzler with original inventory number k292. 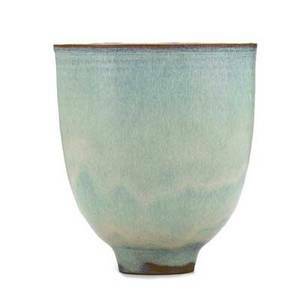 3 1/4" x 7" dia. 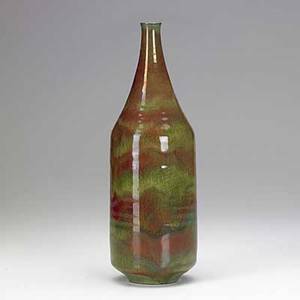 Natzler; tall bottle, fine and rare red and apple green lustrous glaze with melt fissures; signed natzler, paper label n360; 11" x 3 1/2"
Antonio prieto bottle-shaped vase covered in cream and brown speckled glaze incised with concentric circles. signed. 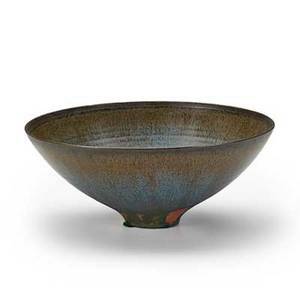 13 1/2" x 8"
Otto and gertrud natzler; flaring bowl, grey and plum glaze with melt fissures; signed natzler; 2 1/4" x 6 3/4"
Natzler earthenware bowl covered in blue and white "crater" glaze. 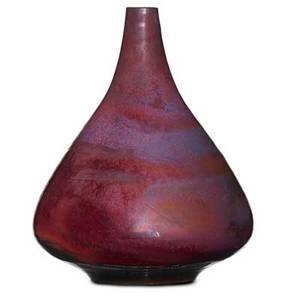 signed natzler with original inventory label, j389. 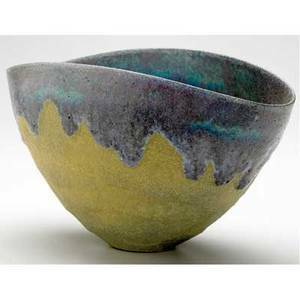 4 1/4" x 5 1/2"
Natzler early folded bowl covered in purple and turquoise flowing lava glaze on a frothy ochre ground. signed g & o natzler. 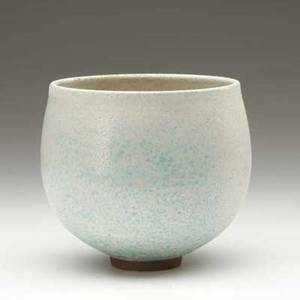 6" x 10"
Scheier handthrown earthenware bowl covered in eggshell and robin"s egg blue volcanic glazes. 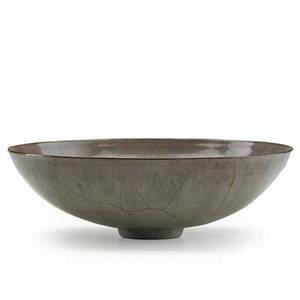 incised sheier. 4 3/4" x 4 1/2"